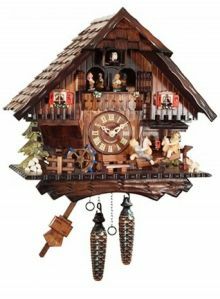 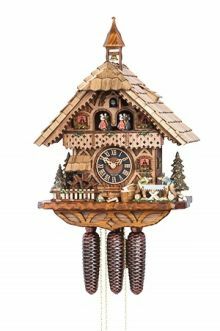 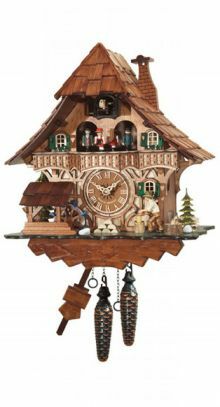 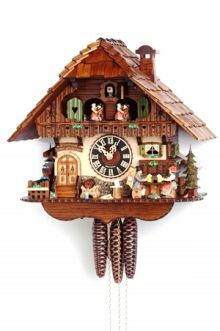 One day cuckoo clock with music & dancers on the hour. 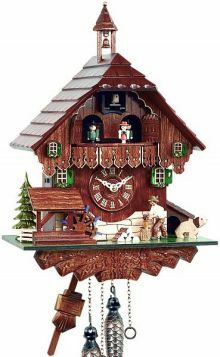 This model now has a wood chopper as well as the two men sawing a log When the music plays the wood is chopped and the log is sawed. 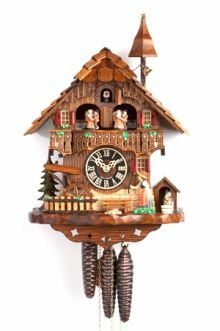 2 years guarantee. 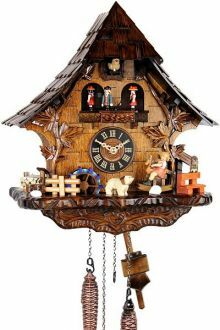 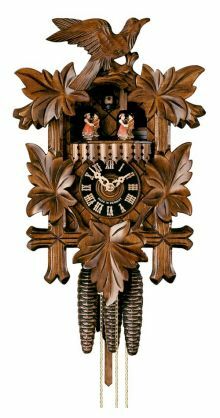 One Day Cuckoo Clock with two melodies and night silent lever.